Graco says to replace the carseat after any type of crash. Graco's FAQ page is under reconstruction at http://www.gracobaby.com/CustomerSer....aspx?page=FAQ as of Dec. 2008 but Graco owners may verify the replacement recommendation in their manuals and/or by contacting Graco via the contact info. on the linked Graco FAQ page. Evenflo's FAQ at https://plweb.evenflo.com/faq_detail.aspx?faqid=4544 instructs parents to discontinue using the crashed seat immediately and to contact Evenflo for additional guidance. Cosco/Safety 1st/Eddie Bauer seat owners can go to http://www.coscojuvenile.com/contact_us.asp for contact information and guidance. Sunshine Kids recommends discontinuing use after a crash in the FAQ at http://www.skjp.com/products/radianFAQ.php. The crashed seat may also be eligible for the voluntary crashed seat exchange program if it was occupied during a severe crash in the U.S.
Q: What should I do with my child restraint that's been involved in a crash? Please note that the above manufacturer's crashed seat FAQs and NHTSA criteria do not differentiate between an unoccupied and occupied seat. The carseat has been subjected to crash forces even if it was unoccupied at the time of the crash. There could be unseen damage from the stress of the crash that could potentially cause the seat to fail to properly protect your child in the event of another crash. If your crashed seat(s) meet the manufacturer's guidelines and/or NHTSA's for replacement, the at-fault driver's auto insurance company should be contacted about covering replacement(s). If you live in a no-fault insurance state, then you would pursue replacement through your own car insurance company. Some insurance companies are very proactive about covering crashed seats regardless of the manufacturer or crash details, while others may act as though they've never heard of such a thing. It may also depend on the particular claims representative at any given company, and you may need to speak to a supervisor or more senior claims representative to get the authorization for replacement coverage. The insurance company may instruct you to simply purchase a replacement seat and submit the receipt for reimbursement, or prorate the original purchase price of your crashed seat(s) to determine how much to reimburse you, or instruct you to purchase the exact same model as your crashed seat(s). Be sure to clarify what the insurance company will specifically cover before purchasing a new seat. Sec. 143.32. Replacement of child restraint systems. A policy of automobile insurance, as defined in Section 143.13, that is amended, delivered, issued, or renewed after the effective date of this amendatory Act of the 91st General Assembly must include coverage for replacement of a child restraint system that was in use by a child during an accident to which coverage is applicable. As used in this Section, "child restraint system" has the meaning given that term in the Child Passenger Restraint Act. The California and Illinois requirements may be useful leverage even outside of those states, especially if your insurance company also operates in either or both of those locations. Trash pickers may be tempted to re-use or sell your crashed carseat at a yard sale, eBay, Craigslist, etc. 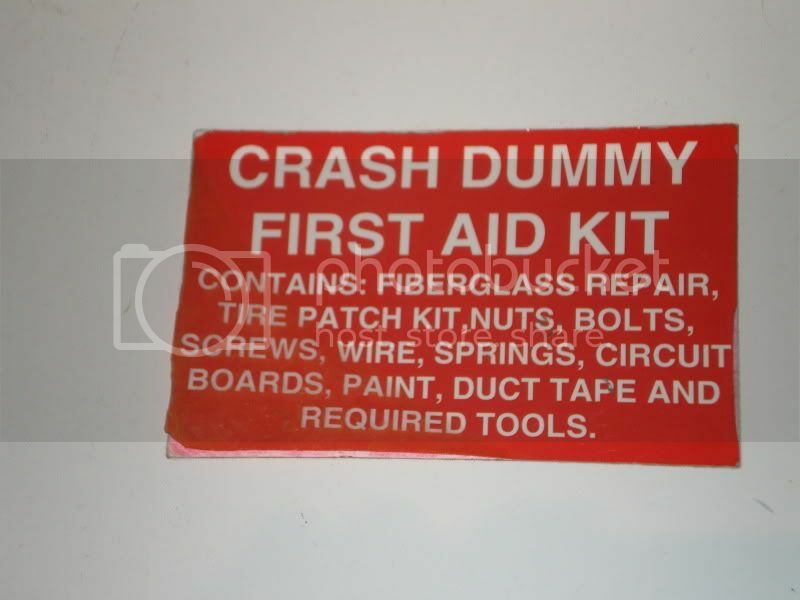 To discourage this, remove the cover, cut up the harness, and write "CRASHED - NOT SAFE TO USE!!" in multiple places on the seat's shell. Then discard the various parts in dark trash bags over several weeks of trash pickups, or inquire if your community can handle recycling the plastic shell and other plastic parts. Your insurance company may ask you to turn in your crashed seat, but ideally you would take the seat apart and use the marker on the shell before you turn it over to prevent reuse. If your replacement carseat is the exact same model, you may want to save the old seat's cover as a spare, or you could try to sell the cover to a buyer with the exact same model seat. You might be pleasantly surprised at how much a buyer is willing to pay for a gently used cover if it's a popular or discontinued pattern. If the carseat was unoccupied at the time of the crash, you may also want to save the internal harness as a spare if your new seat is the exact same model. If the seat was occupied during the crash, however, then definitely cut up and discard the harness. Personal Note: You may have noticed I tend to post in threads about crashed seat replacement on the forum. This is mainly because my family has been unfortunate enough to have gone through several crashes with my older daughter riding in the car and has dealt with insurance about covering replacement seats, etc. Fortunately we all walked away unharmed, and the insurance company was reasonably cooperative about replacing our seats. I thought revisiting some of my past posts on crashed seat replacement and putting together an article could be useful. Thanks so much for this. I was just able to use to to educate someone about replacing their seats after a crash. I recently fixed the Britax and Evenflo crashed seat links after realizing Britax and Evenflo had rearranged their sites. I hope the older, broken links didn't cause any confusion. I jsut got a phone call about a crash. This really helped answer moms questions! bumping b/c needed info. for a friend! great thread! thanks! Brea, Mommy to Z, B, K, and one on the way! This is exactly the thread that I need today! We were rear ended (we were going about 25-30mph and NOT slowing down) and who knows how fast the guy behind us was going but the officer said to him "you must have been going fast to cause that kind of damage". The driver actually admitted to the officer that his cell phone rang and fell off the seat or something! It doesn't LOOK like there is all that much damage, but when you really look closely: the bumper is pushed in about 1/2 inch and has a linear crease in it, the rear door (Toyota Sienna minivan) has multiple dents (none really deep) and does not close on its own (needs a push), and the drivers side rear panel has a crease above the wheel well. All 4 of us were in the van with DS 1 and 2 in the second row in their MA and Regent, and another MA in the third row. So according to NHTSA and Britax the two second row seats should be ok, but since the rear 'door' had damage, does that mean that the MA in the third row should be replaced? We all fealt like it was a big impact and my back hurt, DH's neck hurt and DS1's belly hurt (we're keeping an eye on that and his Dr said he may need a cat scan if it comes back). I'd like to be reasonable about this and not just get new seats because I can, but would you replace all 3, just the one in the back or none? Ouch! Hope you're all feeling better soon. I understand about wanting to be reasonable, and also know what it's like to want peace of mind about the crashed seats. I would suggest calling Britax to see what they advise, especially about the seat in the third row closest to the rear impact, and also to clarify about how they would define injury due to the back, neck, and belly pain (ouch again ) you're experiencing. Thanks again! I did see this and you hit the nail right on the head...I don't think there is any damage to the seats and can't see any but peace of mind is worth a LOT! I'd also like to add that (and I realize not a lot of people own them) Safeguard will replace a seat from a crash... part of the 7yr warrenty. I know people had posted on the old bbc boards about a year ago that they got them replaced that way. under our Crash Exchange Program. Note that the exchange link given in the manual just seems to reload the main Safeguard web page, but calling Safeguard should clarify whether or not the crashed seat is eligible for exchange. Graco has changed their site again, and Sunshine Kids still says to replace the Radian but follows the NHTSA's guidelines for the Monterey. Thanks. Graco recently redid the website and Graco's FAQ section is currently under construction at http://www.gracobaby.com/CustomerSer....aspx?page=FAQ. Graco carseat owners can still verify Graco's crashed seat replacement FAQ in their manuals and/or by contacting Graco directly via the contact info. on the linked Graco FAQ page. A friend of mine is looking for info specifically for her radian. It is no longer in the FAQ and she can't find anything in the instructions. Do not use restraint after it has been involved in any accident. Damage to the restraint may have occurred which could impair its ability to adequately protect a child. Jean, thank you for this post. Luckily this is the first time I have had to reference it, and it helped tremendously when dealing with insurance adjusters who don't want to replace $700 worth of unoccupied seats. So there would be no reason to even bother mentioning carseats on a claim for a very minor accident if all the carseats involved were Britax seats, right? Documenting that Britax seats were in the vehicle at the time of the crash wouldn't be out of line if the crash met all the minor crash criteria in case damage to the seat/seats is discovered later say, or if the insurance company is legally obligated by state law to cover a seat that was occupied during the crash. Do insurance companies pay for car seat replacement after accident?